Do you ever pay close attention to the sounds that are around you? 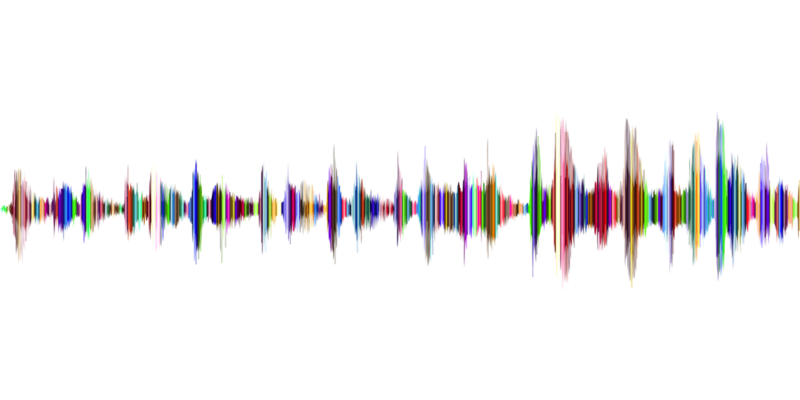 Telling the “stories behind the world’s most recognizable and interesting sounds” is the theme of a new-to-me podcast Twenty Thousand Hertz. I’ve only listened to a few episodes so far, but if this topic sounds interesting (pun intended), I recommend starting with these two segments. First is Muzak, which anyone of a particular age (re: older) will recognize as the company that became synonymous with the concept “elevator music”. Today, music and other sounds are carefully and scientifically designed to help stores, restaurants, and other businesses improve productivity and profits. The other is Disney Parks in which sound designers (Imagineers) for the entertainment company explain how they program music and other sounds to enhance the amusement park experience. Even in It’s a Small World, which all sounds the same to me. Both segments, which run about 20 minutes each, might be good programs to play for middle or high school students studying science, social studies (this work involves a lot of psychology), or music. The image is from Pixabay and is used under a Creative Commons license. Frohike, Byers, and Langly are skeptical of this rant. I grew up with some of the classics. Unique gems like aliens hidden at Area 51, dozens of variations on the JFK assassination (aliens did that too), faked moon landing, Watergate. Today it seems as everything in the news is automatically attributed to some kind of conspiracy. For each additional person who knows the details of a particular conspiracy, the likelihood of it being successful and secret declines by 5%. As the odds approach zero, the plan is either revealed or falls apart. Any conspiracy, by definition, begins with at least two people. A one-person plot is in the realm of lone-wolf, evil genius territory, and talking to yourself (or the fourth wall) doesn’t apply. Every time you add a co-conspirator, henchman, girl friend1, lacky, nerd hacker, or janitor to the mix, the chance of someone making a mistake or becoming a disgruntled whistleblower increases. If the plan is hot enough, the temptation of book deals and screenplays gradually appear in the distance. So, if you assume the beginning odds of success for any conspiracy at close to 100%, it only takes the involvement of twenty people to drive the chances to zero. I figure most of these things probably start far below 100% and thus require far fewer people to fall apart. As the odds of a conspiracy in some way related to President Obama, Hillary Clinton, or the New York Times approaches zero, the chances that it will be adopted by a Fox “news” host, continuously flogged on air, and believed by their viewers approaches 100%. Yes, the truth is out there. Just not on Fox. 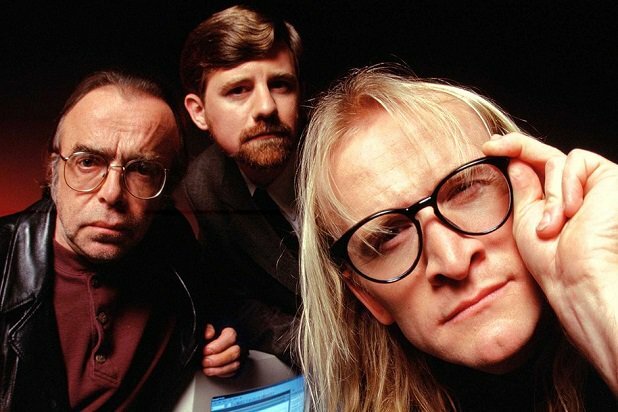 Ultimate conspiracy theorists, The Lone Gunmen were one of the best parts of the X-Files. Sometimes their stories made a whole lot more sense than the main narrative. 1. I’m not being sexist. Conspiracies are almost always a guy thing. Most women I know are too smart to get involved in this crap. Remember about five months ago when the ed community was all a twitter over a New York Times article about teachers with a side gig as “brand ambassadors” for edtech companies? It was good for a few weeks of tweets and posts discussing the ethical issues around these “teacher influencers”. And then what happened to all that outrage and introspection? I ask because we’ve just been through a burst of big edtech conferences in the UK, Florida, Texas, and Pennsylvania, another is coming up in California next month, and ISTE, the largest US event, is not too long from now in June. All of them feature big vendor floors and many sessions showing off the hot, new shiny tech stuff. Has there been any change in the number of educators using their credibility to market these products and services since that burst of interest? Just based on my Twitter feed, I doubt the number has declined. So instead, a better question would be, are these educators, the companies they work for, and the organizations running the events being any more transparent about the relationships? Out in the real world, governments and journalists are taking a closer look at “social media influencers” and their relationship with the companies whose products they endorse. No surprise, they’re discovering that it’s no accident that some celebrity is a big fan of a new health product, restaurant, or vacation spot. The Federal Trade Commission has published a set of basic guidelines for both companies and the influencers, recommending not only that “endorsements must be honest and not misleading” but that any connection between the endorser and the company be made clear. Of course, there’s nothing wrong with getting paid for an endorsement. That’s why big name movie stars are paid big bucks to appear in advertising. But on Twitter, YouTube, and Instagram, you rarely, if ever, get the text required for television and print stating that they are a “paid endorser”. In the edtech world, any relationship between a well-known educator raving about a new app or web service in a conference presentation, tweet, or Facebook post and the owners is often even less obvious. Are the teachers featuring this product in their session here because the company covered their travel expenses? Is the person who just did their three minutes at a demo slam being compensated for it? Educators acting as brand ambassadors should read those FTC guidelines and take steps to be far more transparent about their endorsements. Their social media profiles should make clear if they are being compensated, including receiving free products, for promoting it to their network. Anytime they post something as part of that ambassador role, it should be clearly labelled. If they present at a conference as part of an agreement with an edtech company, that arrangement should also be made clear, both in the conference program and during the presentation. It’s also important that these relationships are disclosed to the school or organization that employs them, as well as their co-workers. They also need to be honest about why they are selecting particular tech tools for their students to use. And that decision must be based on a clear educational need. Despite a lull in the discussion, I doubt that this issue is going away. And I really don’t object to teachers who want to moonlight selling edtech products. As long as everyone is transparent about how and when that is happening. 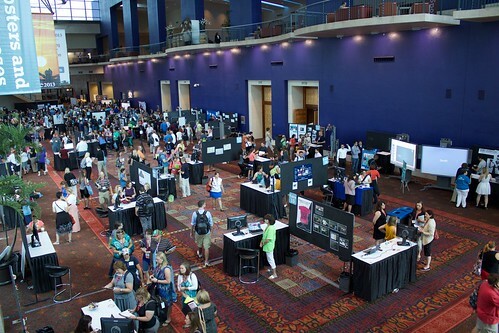 The picture is of the poster area at an ISTE conference. Even in these informal sessions, I sometimes wonder about potential “brand ambassador” relationships. Ok, it’s been an exhausting year of almost non-stop social chaos in this country. I’m sure there are plenty of retrospectives of the events of the past twelve months (and much trivia) you could watch and read this weekend but I’m not going to look for them. I’m also not going to write one. I just have a few thoughts about all this crap, mostly recycled from three previous rants. Feel free to ignore them. The origins of this mess we’re in go back farther than one year, of course, and I continue to assign primary responsibility to the dead weight of indifference expressed by a significant number of American citizens in 2016. I can only hope that enough of those who opted out of voting, or worse, voted as a “message” to some unknown entity, are now paying attention. I’m sure many more people are now at least awake, as expressed by the so-called resistance of the past year. However, as I ranted previously, resistance is not futile, but it’s also not enough. Pushing back does not move the country forward. At best, it maintains the status quo. Most likely, resistance will only keep us from sliding too far back into that past you hear so much about. The one that was “great” for some, but not for most. One positive will be the many new faces who will be running for office this year. However, they, as well as the more familiar ones who want to stay in office, need to do more than put up a lot of scary ads saying “I’m not with him/them”. They need to explain, clearly and forcefully, their vision for positive change and how it can be achieved. Engage us with how we can progress and improve society, as opposed to returning the “normal” that obviously wasn’t working for large parts of the county. His point in the column (published in Newsweek, an actual paper magazine), is that, although many in American society loudly exclaim that the people have a “right to know”, they rarely are referring to having accurate and meaningful information. Instead they ridicule and devalue knowledge. We might begin by asking ourselves whether ignorance is so wonderful after all, and whether it makes sense to denounce “elitism”. I believe that every human being with a physically normal brain can learn a great deal and can be surprisingly intellectual. I believe that what we badly need is social approval and social rewards for learning. Asimov’s refusal to accept willful ignorance would make a wonderful message for any candidate, for office at any level, to include at the center of their campaign. 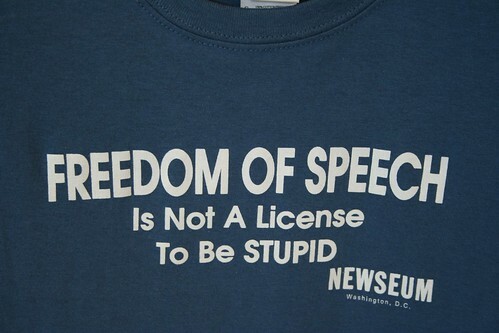 The image is of a t-shirt for sale in The Newseum. 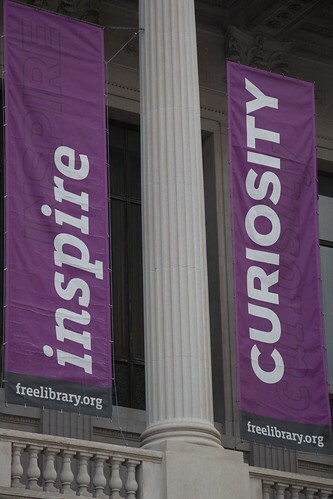 If you are visiting Washington DC, plan to spend half a day in this wonderful alternative to that other museum of American history. 1 The whole essay is a little dated, as you might expect, but worth reading.